So I think Pippin is the world’s nosiest cat. Lately he has been spending more time in the house. He comes in in the morning and hangs out all day. In the evening he is usually anxious to return to the cat room to eat his canned food. We then lock him up during the night (because of this). Anyway, if there is a closed door, he thinks he should be allowed to see what’s on the other side. He has become very interested in the basement for some reason. If we leave the door open for a moment (say, to go start some laundry), there is a good chance that he will be on his way down the stairs as you come back up. Or he’s already down there, snooping around the camping gear and exercise equipment. It is pretty amusing to watch. 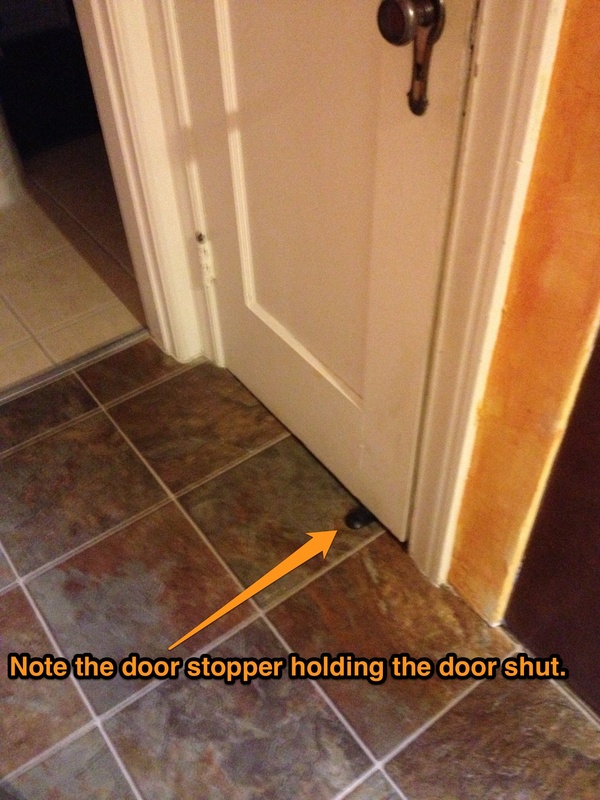 He sticks his front feet under the door to pull, and pushes his body against the wall until it pops open. I managed to record this with my phone a few weeks ago. Not the best video but you can see his technique pretty well. All this food in this room is for dogs, you silly cat! As smart as Pippin may be, he doesn’t always get it right. A few days after he figured out the basement door trick, he came in my office while I was getting something out of the office closet. 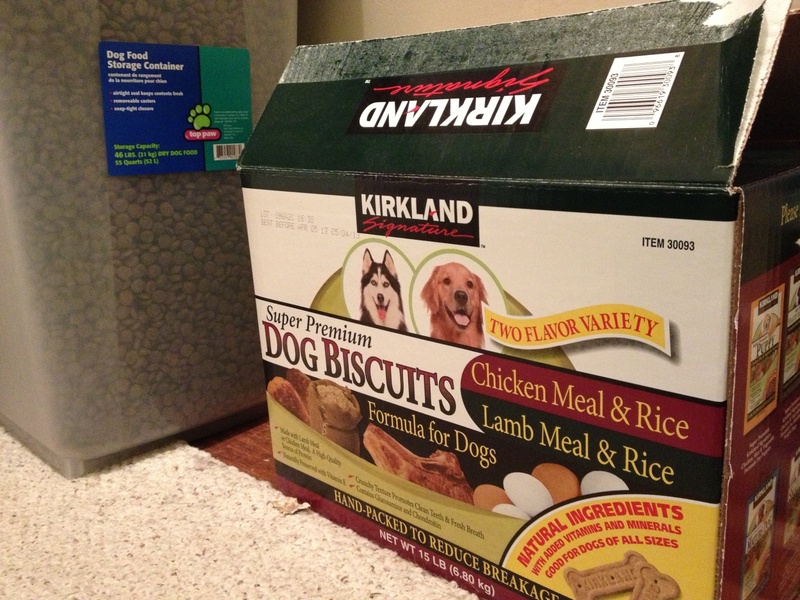 And he discovered that we have a big box of dog biscuits, as well as the dog food bin, stashed in the closet. Apparently he can’t read the box that says “Dog” since he decided he really wanted to get into that box and sample the biscuits. I shooed him out and closed the door and went on with whatever I was doing at the time. A little while later, I noticed Pippin attempting the same trick he used on the basement door – pulling on the door while pushing against the wall. You will never succeed in pulling open the office door! 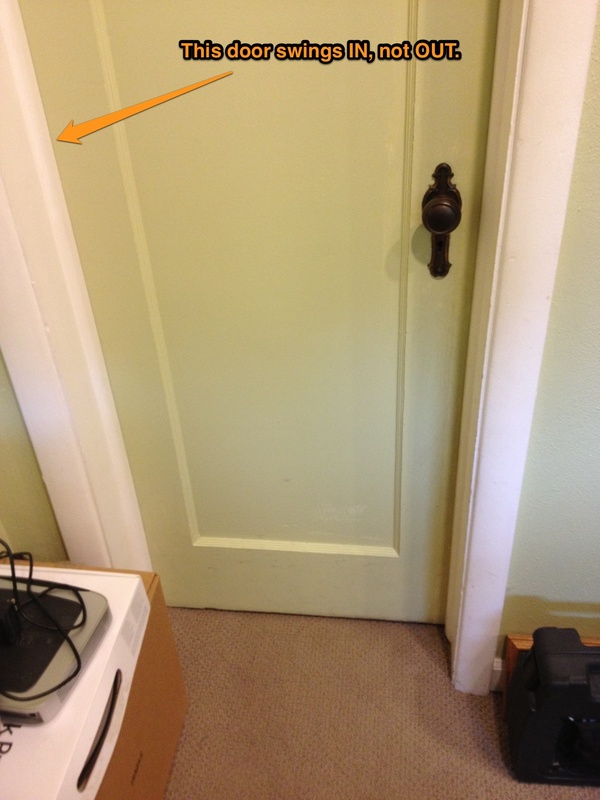 The only problem is, as you can probably tell in this picture, this door pushes in. So all his pulling and tugging in the world is never going to make a difference. Plus it does latch securely, which is a good thing or all the dogs would be in there all the time, raiding both the biscuit box and the food bin. I find it just a little amusing to see him attempt this for a while, then glare at me in frustration as though it is somehow my fault.